As you may have heard, California is currently in a bit of a crisis re: water, or lack thereof. Governor Jerry Brown has asked residents to do their part during this record drought and slash their water usage by at least 25%, through various measures which include but are not limited to not watering one&apos;s grass for 15 hours a day and spending slightly less time in the shower. 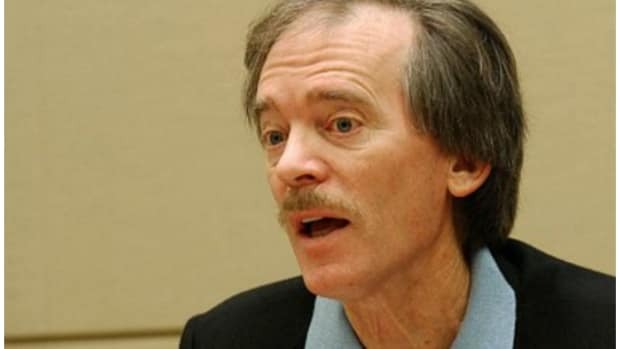 As for the latter, Bill Gross, of the Laguna Beach Bill Grosses, has just one thing to say and that&apos;s "Step off, b*tch." Gross, you see, has the world&apos;s greatest shower and nobody but nobody is going to keep him out of it. Naturally, he expounded on the virtues of said shower in his latest investment outlook. In fact, he&apos;s considering having his Bloomberg Terminal retrofit with a waterproof covering, which would allow him to stay in the shower all damn day.